Renowned expert with more than 20 years of industry experience to spearhead FCS growth initiatives in the region. Sydney – 21 March, 2017 – FCS Computer Systems (FCS), a leader in hospitality technology operations solutions and services, has tapped Craig Dennington to serve as Commercial Director for Australia, New Zealand and the Pacific Islands. Based out of FCS’ regional office located in Sydney, Australia, Dennington will be tasked with further growing the company’s market presence throughout the region and ensuring that its industry leading operations-enhancing solutions are available to all hoteliers in the area. With an established history in the industry, Dennington began his hospitality career by serving at a traditional English pub in the UK. From there, Dennington expanded his commitment and expertise by transferring to Sydney and working in 5-star hotel operations. Dennington has gradually expanded his focus on IT and systems solutions supply, and over the past 5 years, he has been responsible for providing property management system solutions to a wide variety of clients across the globe. Increasingly focusing on product marketing, cloud solutions and SaaS, Dennington possesses a deep understanding of what hotel teams require to enhance their business, and is able to use such insight to tailor solutions that fit their precise needs. 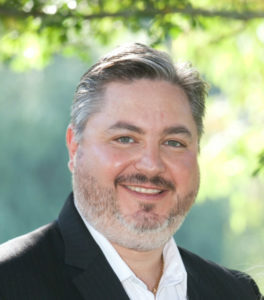 Prior to joining FCS Computer Systems, Dennington served as Director of Marketing & Partnerships for CMS Hospitality, where among his numerous responsibilities, he was tasked with strategic management of key accounts and ongoing sales for international clients. Having studied at the University of Huddersfield, Dennington is additionally recognized for his proficiency in revenue analysis, yield management and business management, among other skills.